Today AGSs P.P.Rao and Sanjeev met Sr GM Establishment Sh Saurabh Tyagi and discussed on the issue of GTI. He assured to look into the issue. Today our AGS met establishment section and discussed on the issue of wrong deduction of GTI amount. It was informed that establishment section moving file to CA Section for cross checking the GTI options given as per ERP. Mostly by this week end we will get the correct information. Meanwhile we request all the DSs to ensure to send the GTI discrepancies through your IFAs to BSNLCO. The consolidated list with details to CHQ/CIRCLE immediately please. Revival of BSNL -- As per Media reports, allotment of 4G spectrum to BSNL is referred to TRAI by Govt. Same was not done while allotting 4G spectrum to Pvt. Operators. BSNL is the only Telecom Service Provider not having 4G spectrum. Hon. PM sir and Hon. MoS(C) sir Pl intervene. 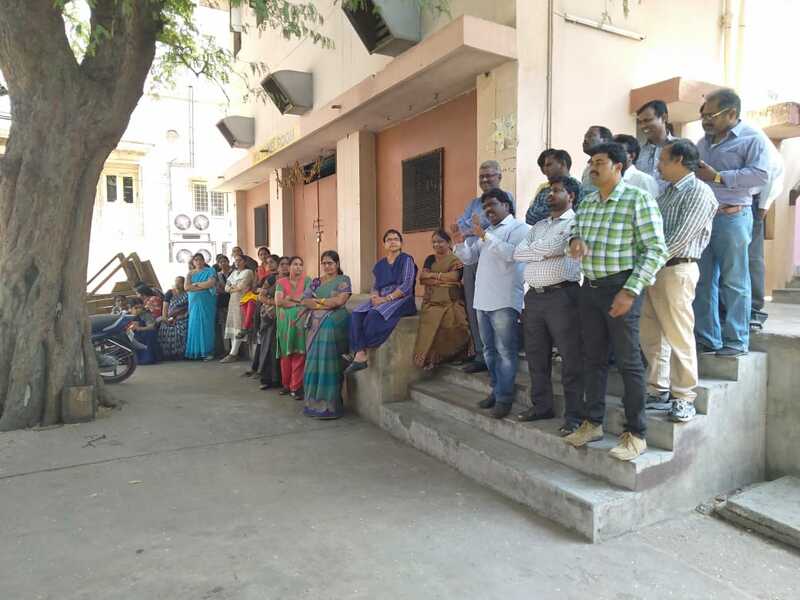 SNEA members welfare claim amount got enhanced from Rs. 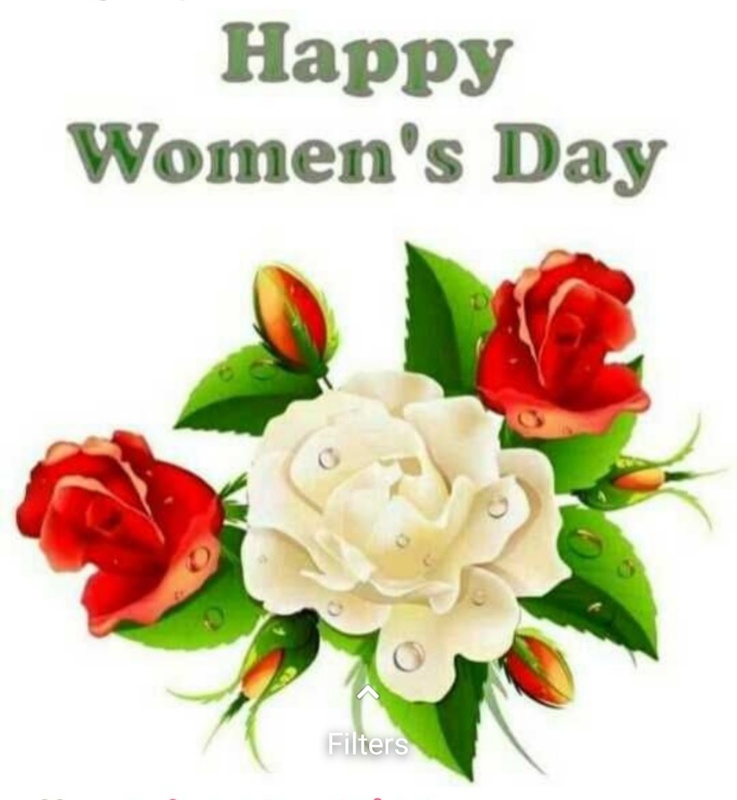 1 lakh to 1.5 lakhs w.e.f. 15.03.2019. 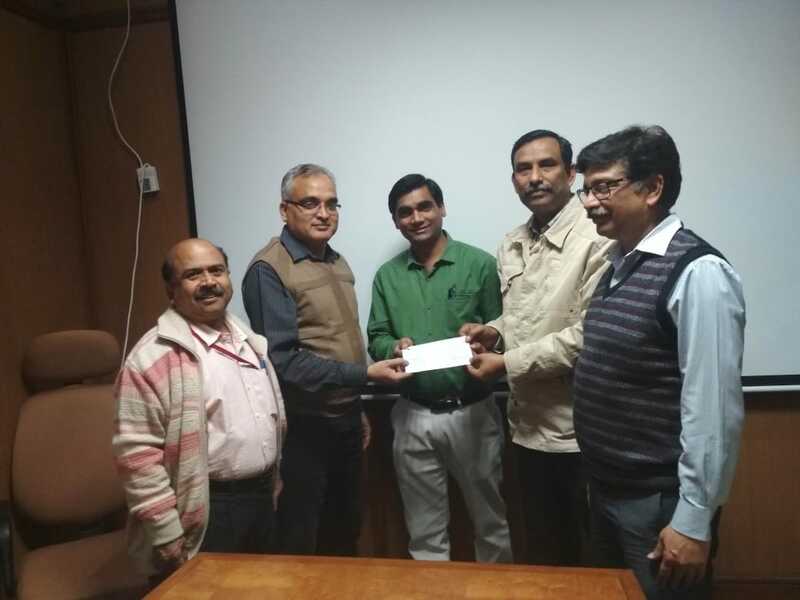 The claim amount will be settled through LIC within 7 days.Today the Cheque for Rs 4,21,020.00, the monthly premium of Group Term Insurance of SNEA members is handed over to LIC. 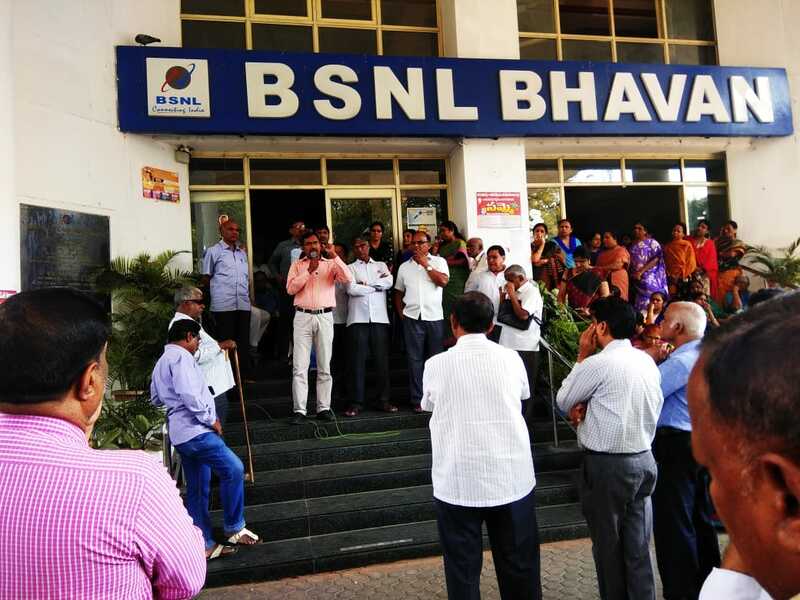 The Govt is taking calculated steps to finish off BSNL, systematically by not allowing it to expand the network and provide 4G services, deliberately creating industrial unrest in the company by stopping the funds and salary payment and making BSNL gradually sick. This is deliberate because about 6,000 Cr rupees, payable to BSNL is blocked by DoT (Rs 2350 Cr on BWA spectrum refund interest, Rs 2100 Cr on excess pension Contribution paid, other receivables from DoT). This in turn will benefit the private operators especially Reliance Jio to capture the entire telecom market. The Administrative Ministry DoT and Hon Minister repeatedly assured AUAB that it is committed for revival of BSNL, 4G spectrum allotment and settlement of HR issues as we demanded, but not done anything on the assurances. When Govt slowly gone back from the assurances and started purchasing time, AUAB in strongest protest, gone for 3 days strike in February. DoT is meticulously implementing the Govt decisions to finish off BSNL with the support of Niti Aayog, Finance Ministry etc. The DoT finance is creating all the hurdles on each are every BSNL proposal, with the tacit support of the higher authorities. 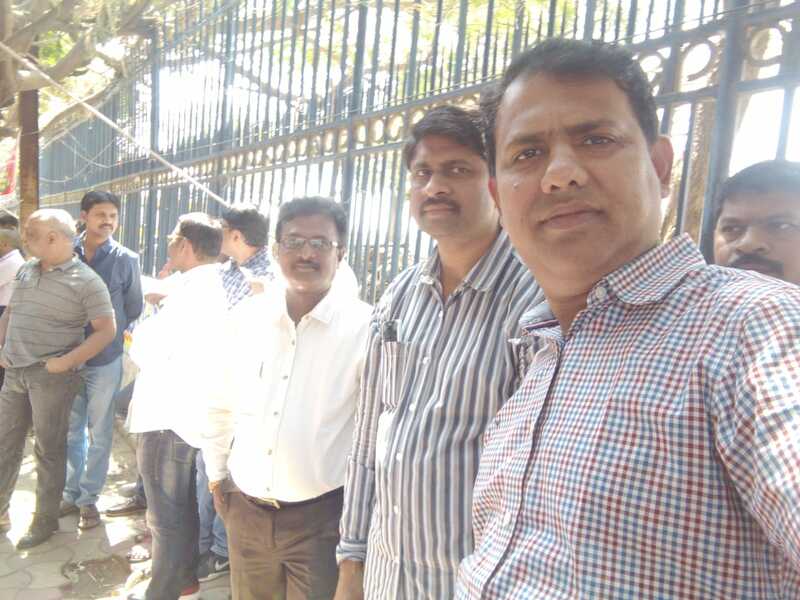 This calculated move of the Govt and the DoT placed BSNL in such a critical condition, that the employees are unable to get their salary. The DoT is not allowing BSNL to take bank loan for the CAPEX for expansion of network or OPEX for operations when other operators are taken lakhs of Crores of rupees bank loan for the CAPEX and OPEX. 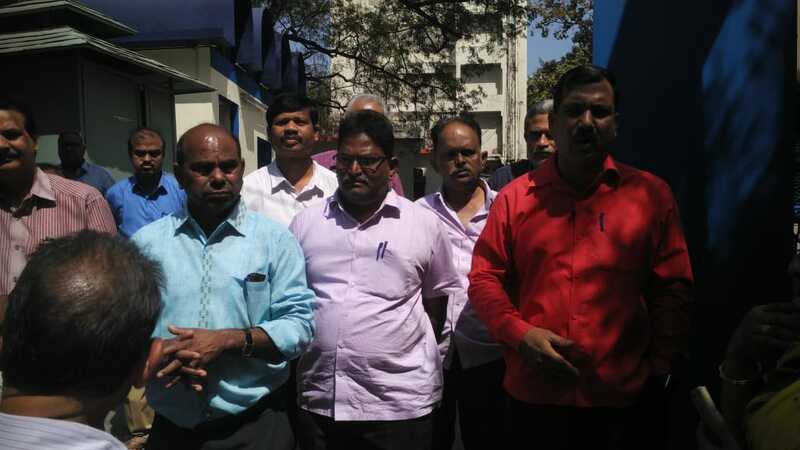 Due to shortage of funds, BSNL is not even able to pay electricity bills, labour charges, maintenance charges, vendor payments for the AMC, vehicle running etc which in turn is seriously affecting the services. The AUAB discussed all these issues during the last 3 days and firmly decided to expose the conspiracies of the Govt and the DoT. 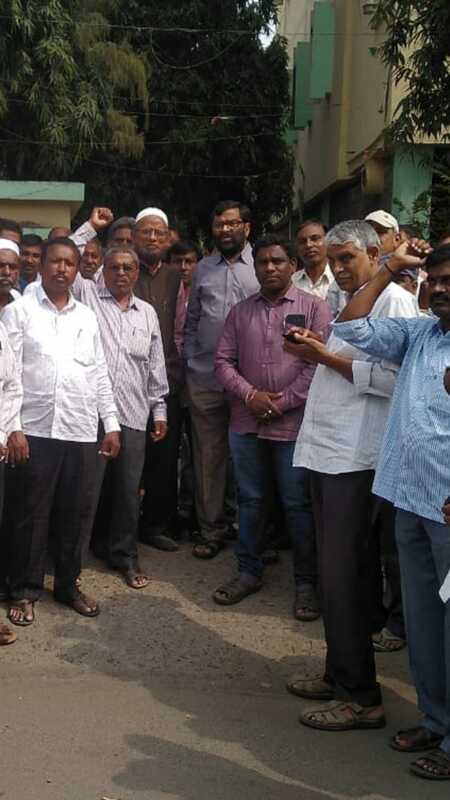 Hence, the AUAB has decided to organise a massive Rally to Sanchar Bhavan on 05.04.2019. It has decided to invite the leaders of all political parties to address this rally. All the Circles and SSAs are requested to mobilise the maximum number of employees for the rally and to make it an historic event. 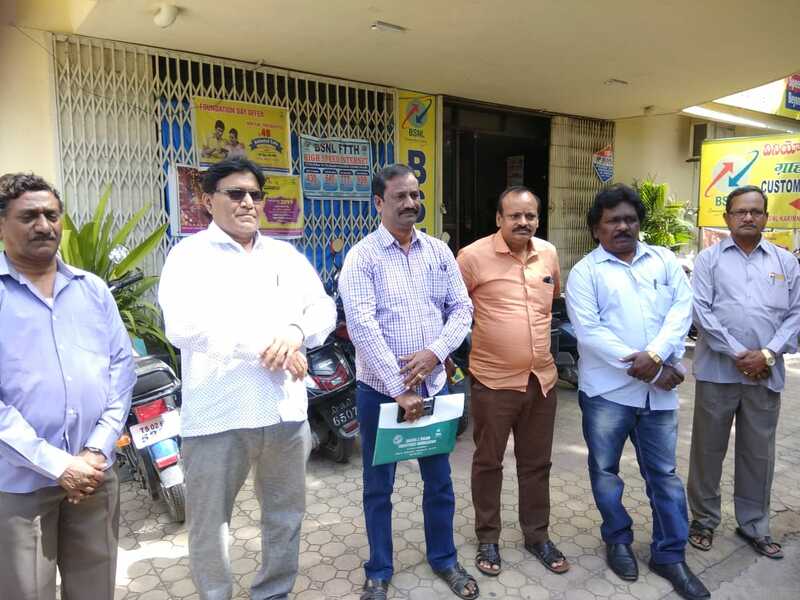 AUAB also decided to meet all the Political parties at Central level, state level and the prominent candidates of each constituency to seek their support for the revival of BSNL. As per AUAB call we will be starting the social media campaign shortly on REVIVAL OF BSNL through Twitter to PMO, narendramodi, manojsinha, CMDBSNL, DoT etc. A Twitter account @savebsnlindia is created for that. As a BSNL employee and well wishers, we have decided to raise our issues through social media platforms too. We seek your cooperation regarding the same and please spread it to every nook and corner of the country. Give maximum publicity and create accounts for the employees and their family members and relatives also. 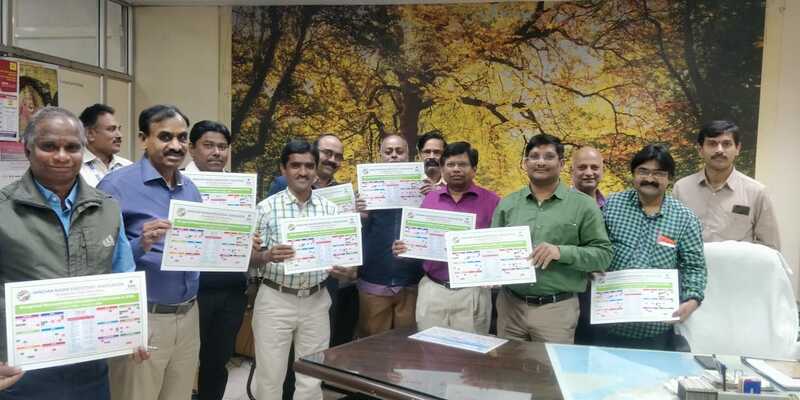 All CSs, CHQ OBs should ensure that re-tweet is done by all Executives, Non- Executives, our family members, friends, our franchisee sales teams as guided and ensure that daily more than 25000 re-tweets is being done. Procedure is given below. Step 1: Create a Twitter account if you do not have. Step 2: Follow @savebsnlindia & click on bell icon to enable instant notifications. This will ensure that our issues are directly reaching to Hon Prime Minister and Hon MoS (Communication), DOT and CMD/ BSNL. Further You may also re-tweet @savebsnlindia original tweet with your own comments, emotions, you may include @narendramodi, @narendramodi_in, @PMOIndia, @manojsinhabjp, @CMDBSNL, @DoT_India, @BSNLCorporate and write hashtag #SaveBSNL in your re-tweet. #SaveBSNL is to be included in every such tweet, re-tweet & comments. SNEA TELANGANA CIRCLE CONVEYS deepest condolences to breaved family members. We pray Almighty to give strength and courage to the family members to bear this irreparable loss. 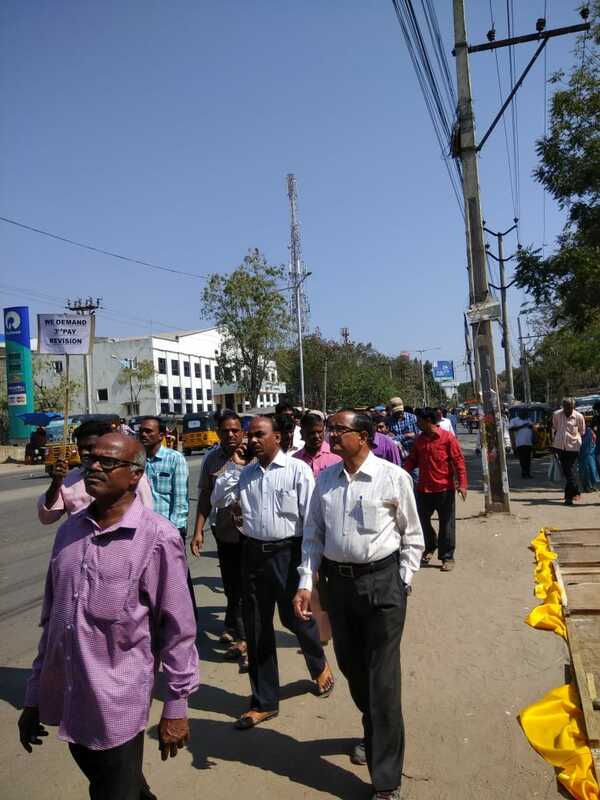 For further mobilization for the strike, AUAB decided to conduct a march on 15.02.2019, Friday by all the family members of BSNL employees. 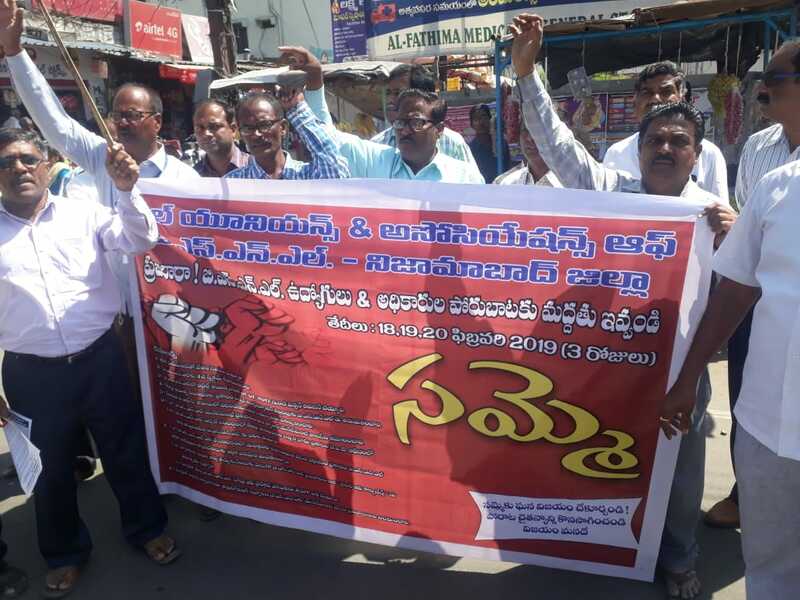 All Circle Office bearers, SSA Secretaries and activists to participate and motivate the employees for the 3 days strike from 18.02.2019. AUAB CIRCLE leaders will be addressing the meetings. 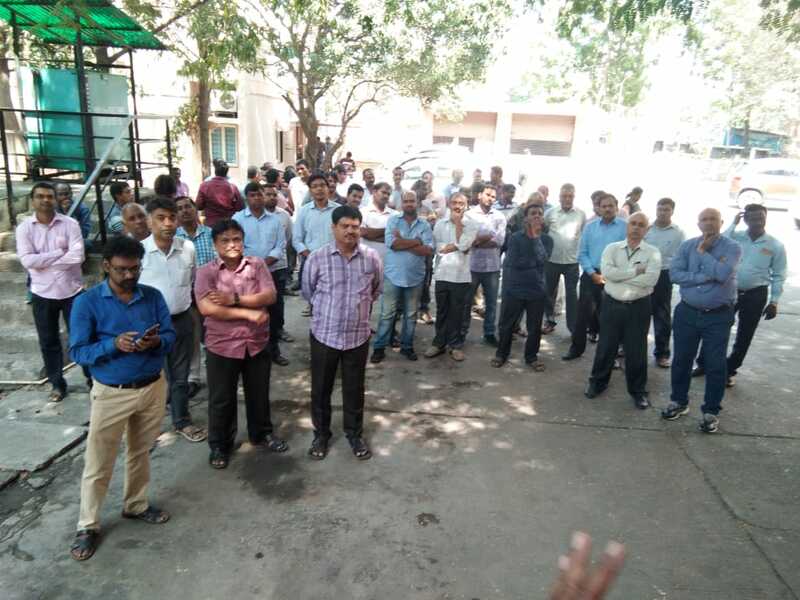 DSs are requested to coordinate with other Associations and Unions and make strike success. 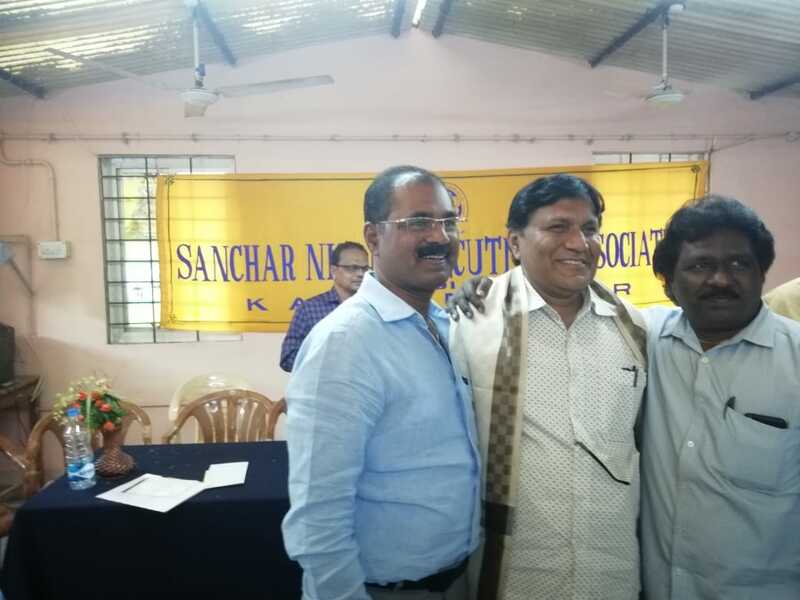 District conference of SNEA karimnagar was conducted on 8th feb 2019 at TRC BSNL bavan karimnagar town.The meeting started with welcome address and precided by president com Rajgopal.The Open Session of the Meeting was attended by Respected Sri pichaiah DGM, com E.Jaganmohan reddy CP, com Ramesh CS,com Kalidas ACS and addressed the gathering. 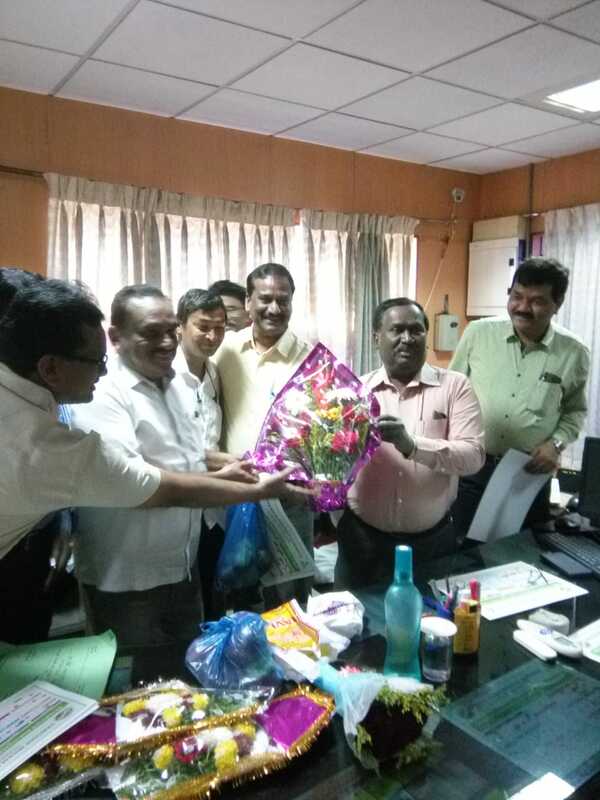 All the distinguished guests were welcomed by presenting bouquets. Com Srinivasreddy DS presented key note address. Com. 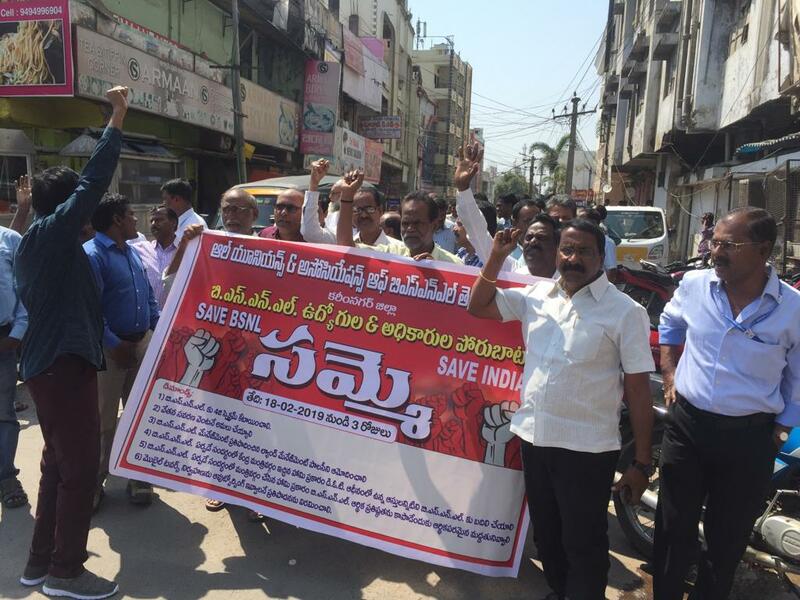 Ramesh Circle Secretary SNEA TELANGANA mentioned the achievement of TELANGANA Circle body in the resolvement of the issues of the members. He also stressed to keep vigilant on the isssues of BSNL’s viability as well as on our HR issues. 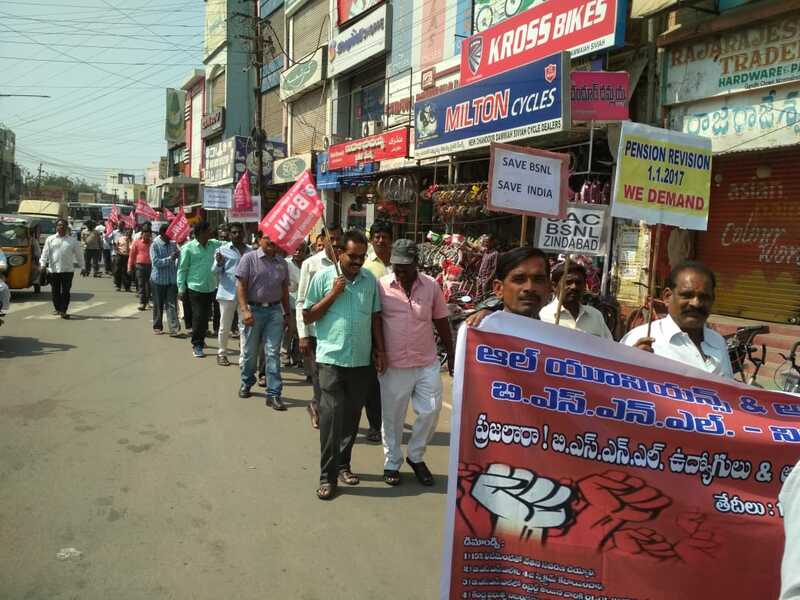 TELANGANA circle congratulated the comrades of karimnagar ssa for the successful holding of meeting. Com. CS, CP, ACS also mentioned the role and efforts of CHQ,circle on the burning issues. 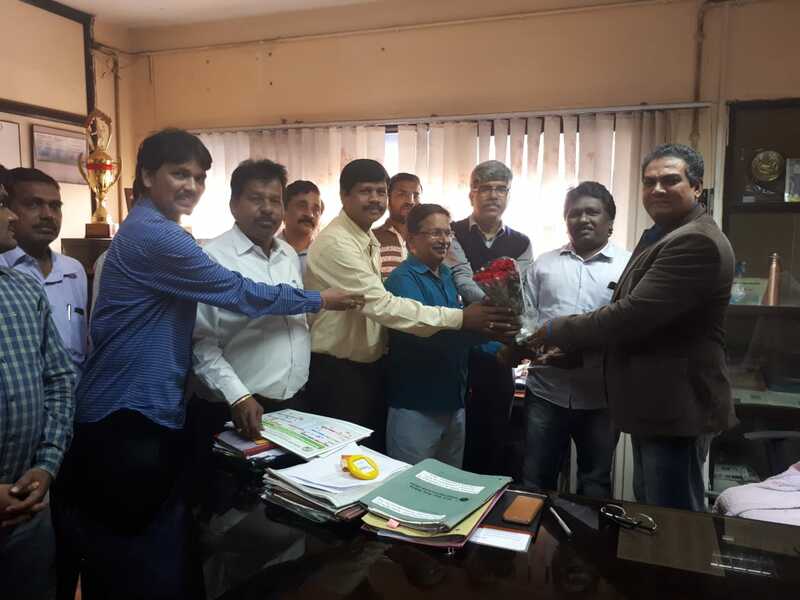 Dgm appreciated the dedication of the employees in the service delievery. He appealed to provide the very good quality of service to all our customers. CS given clarifications on all issues. meeting concluded at 17.30 pm . The following Comrades elected as office bearer's for next term. 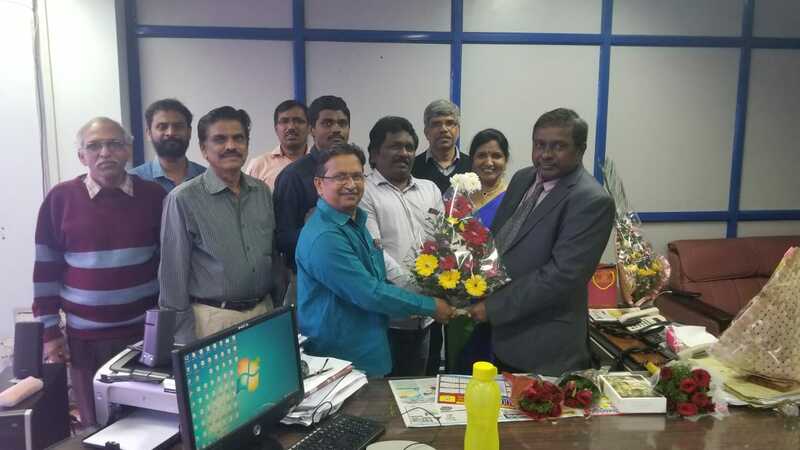 Com RAMESH CS SNEA TELANGANA participated in TV channel debate on 7th feb 2019 and highlighted bsnl issues and appealed customers,public for their support to save bsnl. 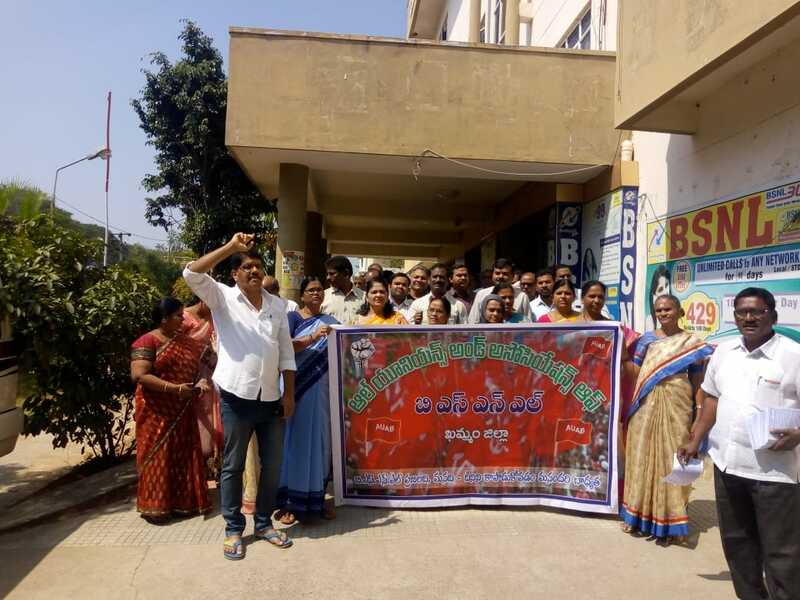 AUAB TELANGANA CIRCLE conducted preparatory meeting at Asmanmahal auditorium Lakdikapool HYDERABAD on 6.2.19 regarding 3 days strike. 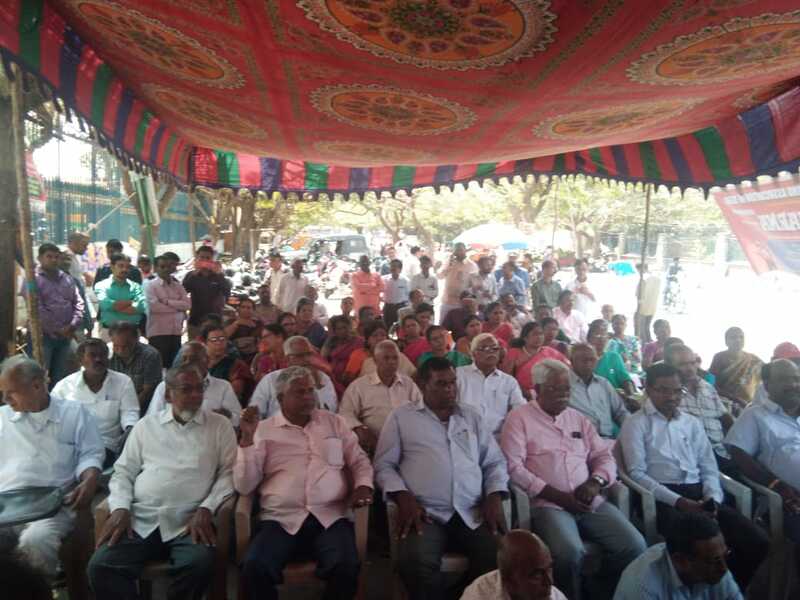 Com Abhimanyu GS EU ,Com Ramesh CS, com Jaganmohan reddy CP, COBs, DSs and other unions and ASSOCIATIONS representatives participated and addressed the gathering. 1. 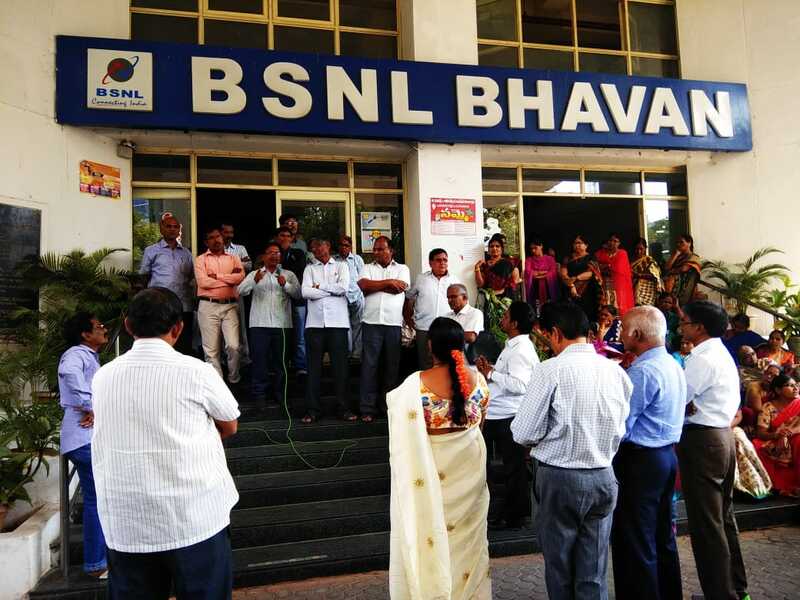 Removal of affordability clause for Pay Revision in BSNL, CPSUs. 2. Allot 4G spectrum to BSNL & MTNL. 3.Stoppage of all moves towards Privatization. 4.Govt support for revival of BSNL. 5.Ensure Assured Pension for all. 6.pention contribution on actual pay. 7.left out issues of 2nd prc. 8. allow bsnl to take loans and lands , buildings for rent/lease. 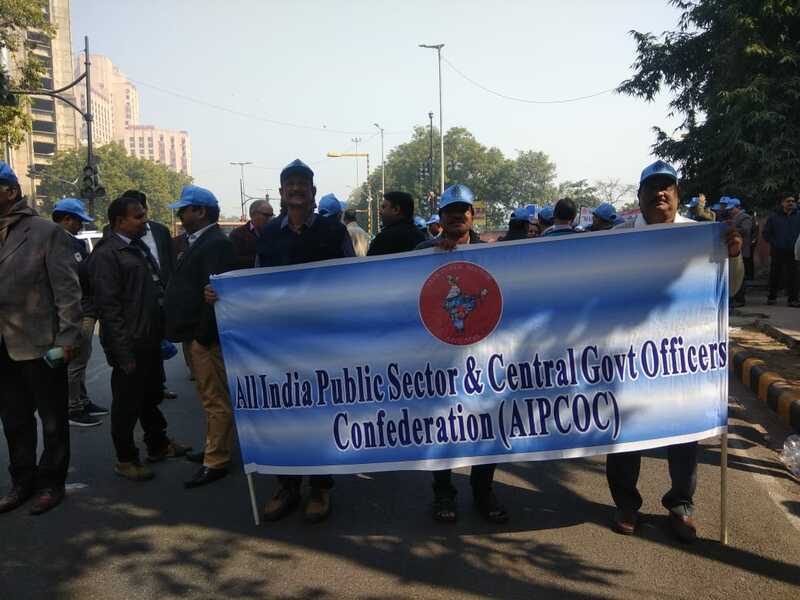 Thousands of Executives from different parts of the country from various CPSUs, with huge number from SNEA, participated in the march making big presence of NCOA and AIPCOC. 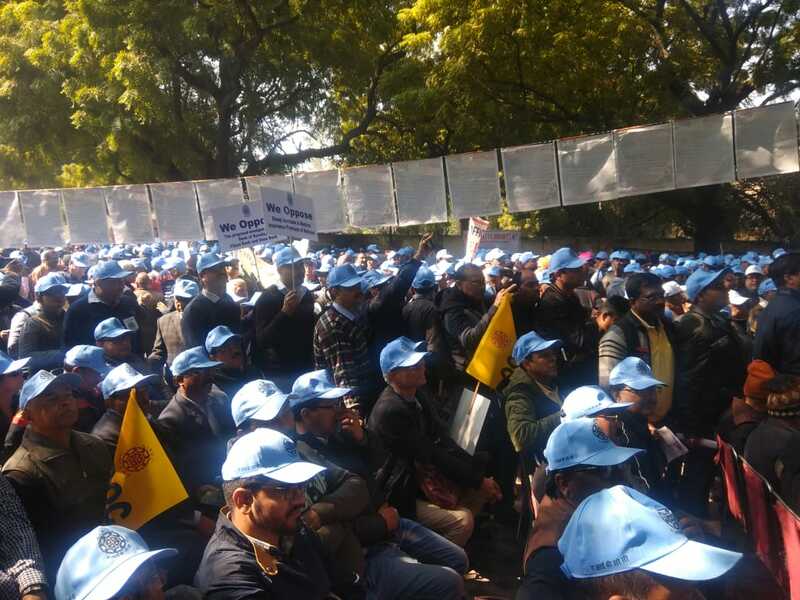 Com Tapan Sen, Hon MP and GS/CITU, Com N K Premachandran, Hon MP, Com Sanjay Singh, Hon MP, Some more MPs also addressed the march at Jantar Mantar. National media given live coverage on this rally. Very very positive move from management/Govt side and we hope within couple of days our issues like pay revision,4G,and etc will resolve. Kudos to SNEA central head quarters for right decision in right time. 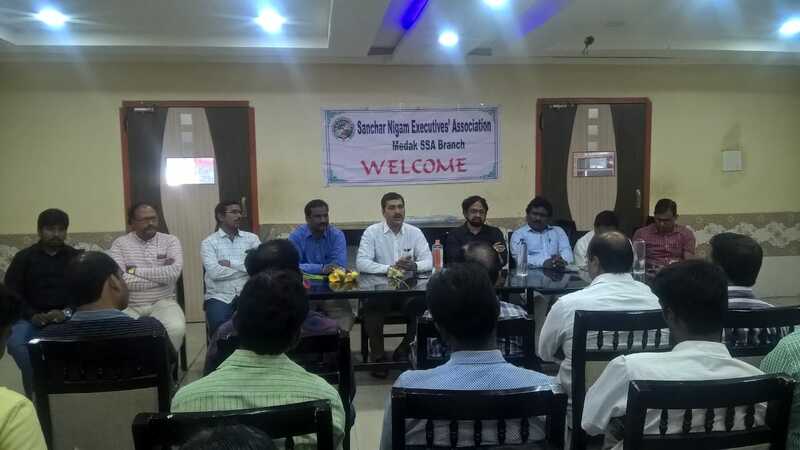 District conference of SNEA sangareddy ssa was conducted on 2nd feb 2019 at sangareddy town.The meeting started with welcome address and precided by president com Dattatreya.The Open Session of the Meeting was attended by Respected Sri sitharamaraju pgmtd, com E.Jaganmohan reddy CP, com Ramesh CS,com Ranganath ACS, com Srinivas CWCmember,com suresh CWCmember ,com karthik DS bidhar and addressed the gathering. 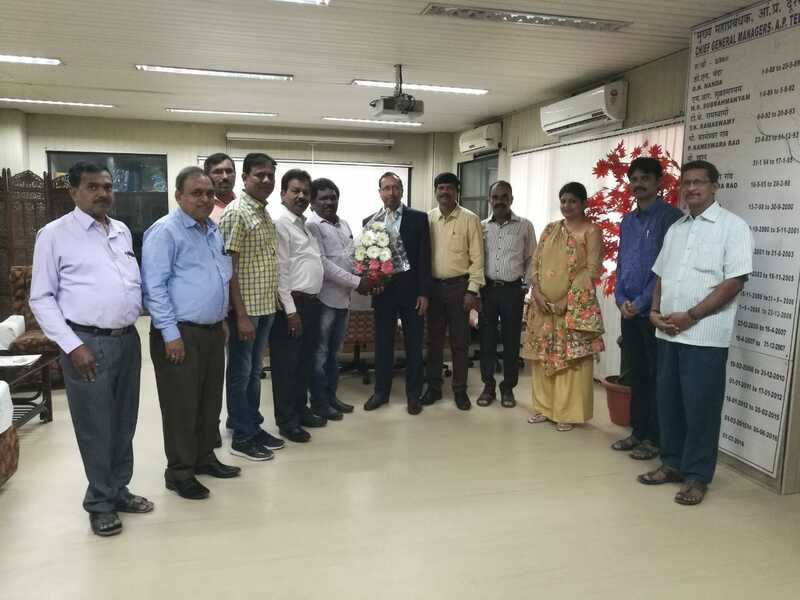 All the distinguished guests were welcomed by presenting bouquets. Com Dinesh DS presented key note address. Com. 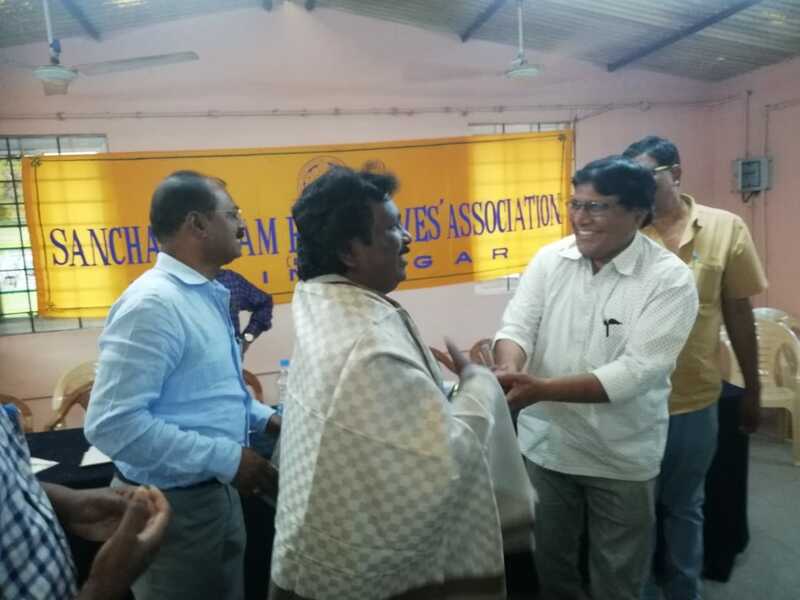 Ramesh Circle Secretary SNEA TELANGANA mentioned the achievement of TELANGANA Circle body in the resolvement of the issues of the members. He also stressed to keep vigilant on the isssues of BSNL’s viability as well as on our HR issues. 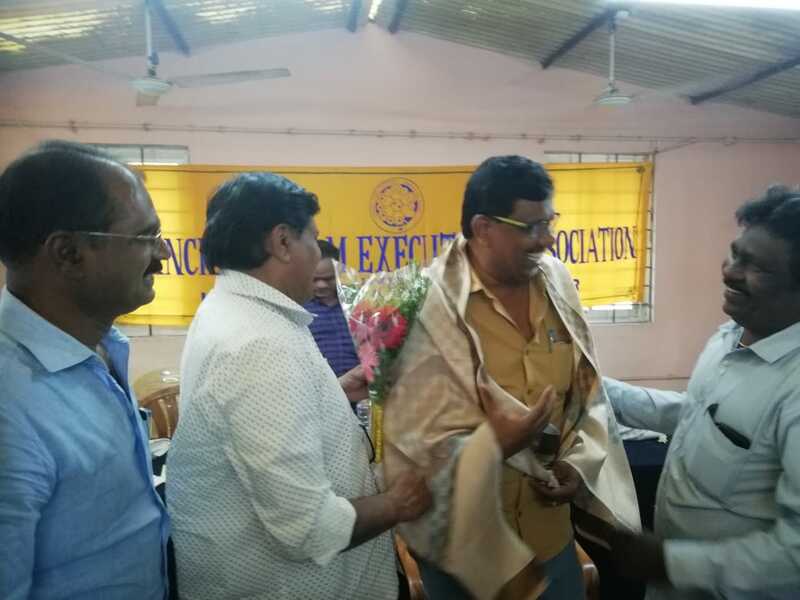 TELANGANA circle congratulated the comrades of sangareddy ssa for the successful holding of meeting. Com. CS, CP, CWC members also mentioned the role and efforts of CHQ,circle on the burning issues. 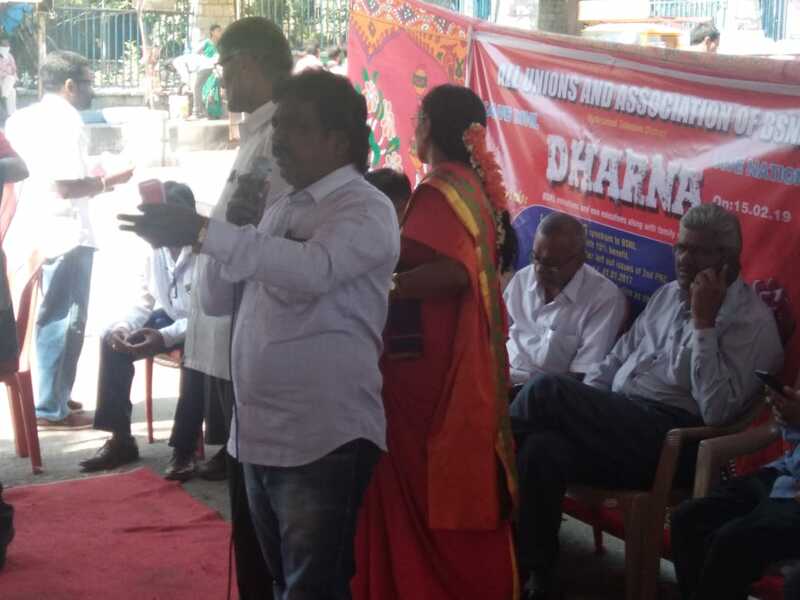 pgmtd in his address appreciated the spirit of the Sangareddy Comrades. 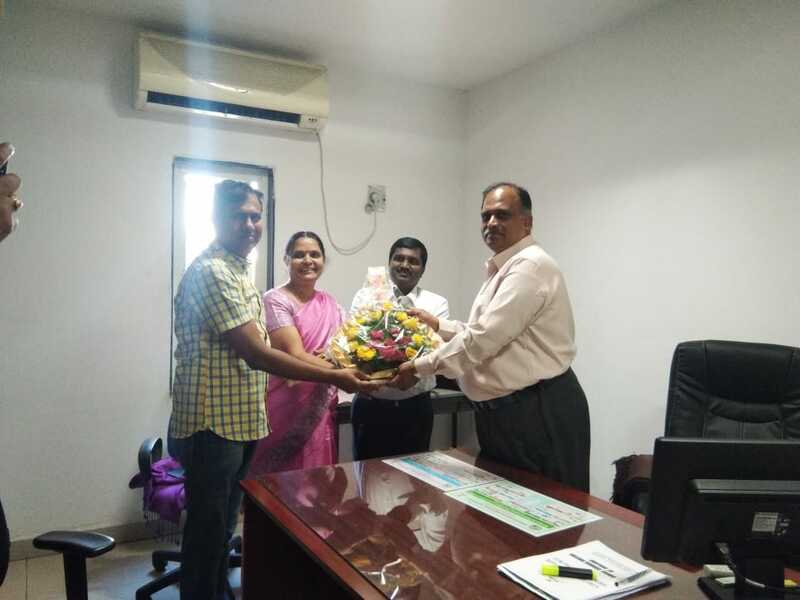 He stressed to provide the very good quality of service to our corporate and big customers. 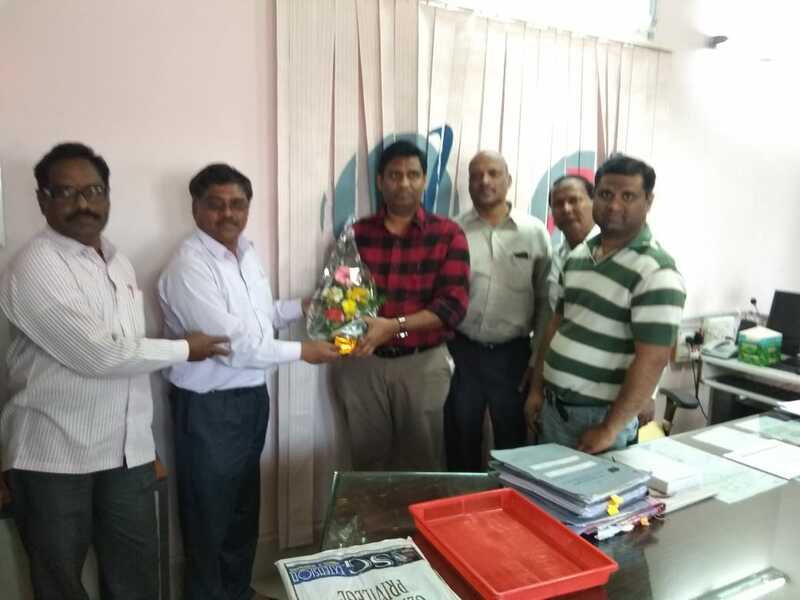 He appreciated the dedication of the employees in the service delievery. 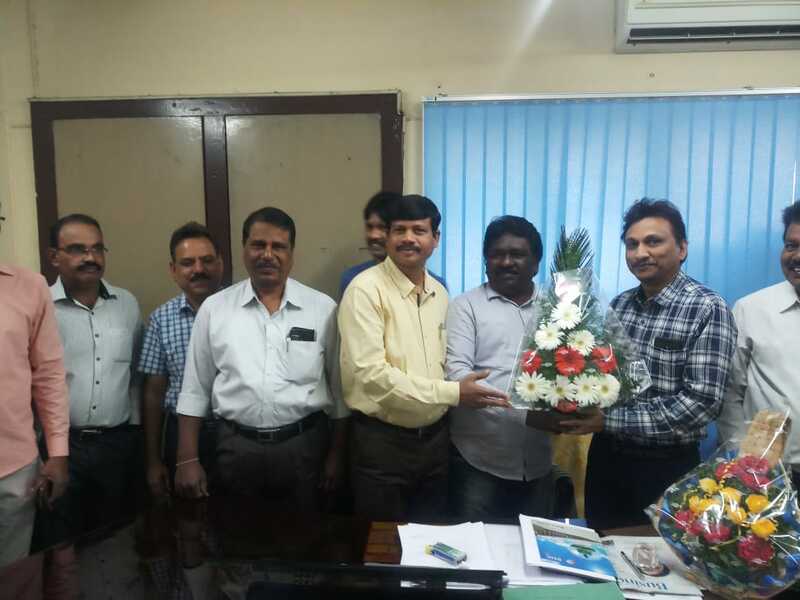 He appealed to provide the very good quality of service to all our customers.CS given clarifications on all issues. meeting concluded at 18.30 pm. The following Comrades elected as office bearer's for next term. 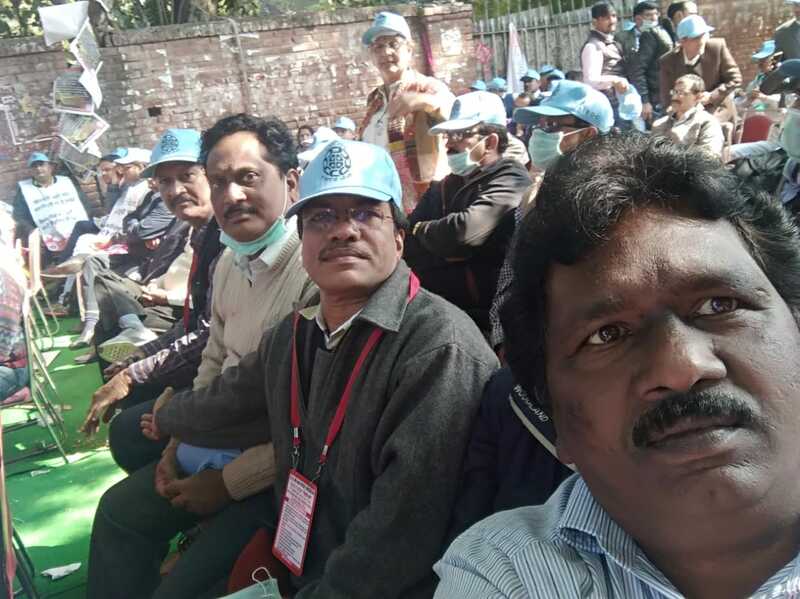 One of the main objective of CPSU Cadre Hierarchy to end litigations and smooth career progression is partially defeated by the recent post based promotions. 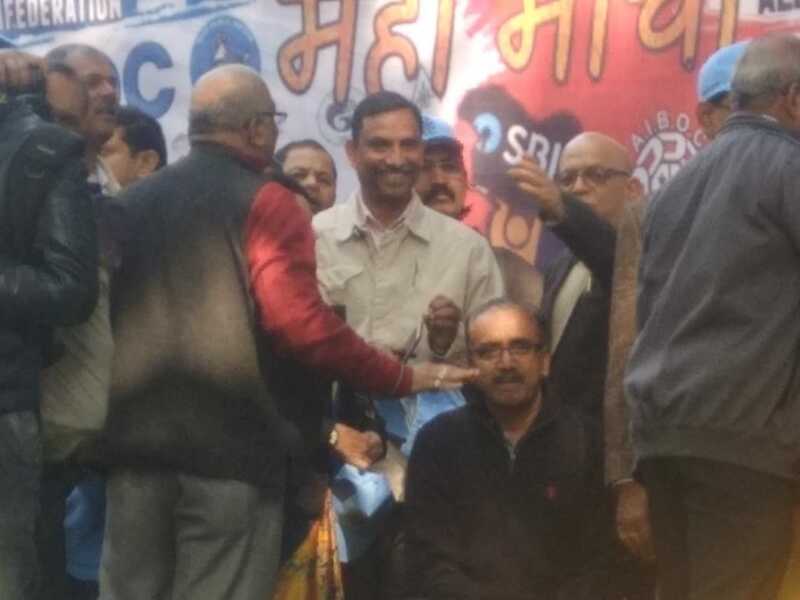 Through post based promotions, the main objective of CPSU Cadre Hierarchy, Parity and Uniformity in promotions among various streams for the equivalent cadres could not achieve, rather more disparity, anomalies, disputes and court cases created now. If vacancy based promotion is continued, no one can ensure Parity or even timely promotion in different cadres. 1. More than 2,000 SDEs in list 8 who are very seniors, most of them are promoted in 2004/2005 as SDEs and completed 14 years of service are waiting for promotion. Their juniors are promoted on 29.06.2018 which created wide spread resentment among the seniors. Another 1,200 SDEs are there, promoted in 2007/2008 also. 2. More than 9,500 JTOs from 1999 rect year to 2013 rect year are waiting for promotion. The promotion for about 4,500 JTOs upto 2007 rect year is in the final stage. Still about 5,000 JTOs, from 2008 rect onwards are waiting for promotion to bring-in parity. 3. Similarly about 800 SDEs (400 each in Civil and Electrical), promoted from 1998 onwards waiting for promotion as EE. 4. AOs of 2008 batch numbering about 900 are waiting for promotion. 5. More than 6,500 SDEs promoted in 2007, 2008, 2009, 2011 and 2013 are waiting for promotion to Sr SDE grade. 6. More than 1500 AOs promoted is 2009 & 2015, waiting for promotion to Sr AO grade. 7. The situation in some small stream like Arch is precarious; JTO(Arch) joined in 1988 is still waiting for first promotion. Stagnation prevails in other small streams like CSS, PA/PS, TF, Arch, Official Language etc. 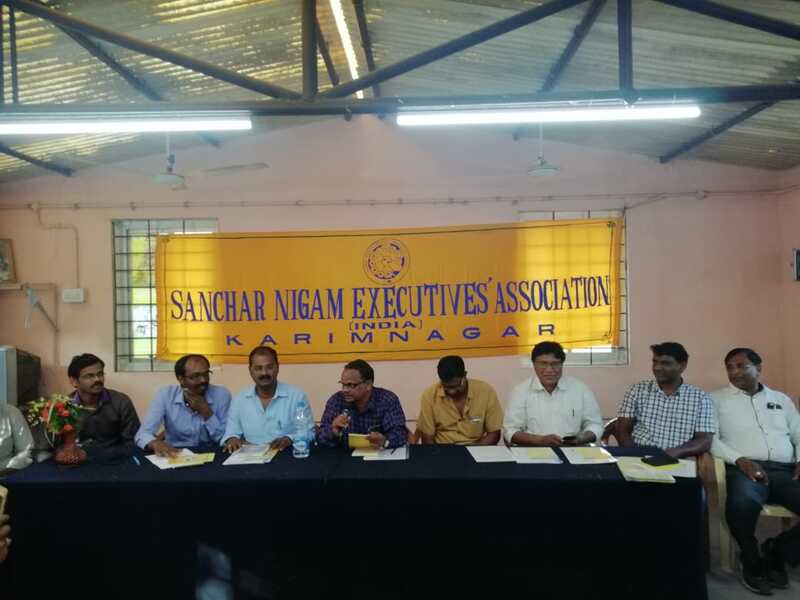 Bringing Parity in promotions in SDE and AGM equivalent cadres for all the streams were demanded by SNEA vide letter No: SNEA/CHQ/CMD/2015-18/95 Dated 04th July, 2018, through upgradation of posts as done in the case of JAO to AO and SDE to DE cadres. However, this demand is not accepted by the management. Any delay in implementation of the new promotion policy will be demoralizing and detrimental to the overall interest of the Executives. If the notification and date of effect is delayed beyond 01.07.2018, all will miss their opportunity to get the promotion on 01.07.2018, at par with their juniors in other streams who got the promotion on 29.06.2018. 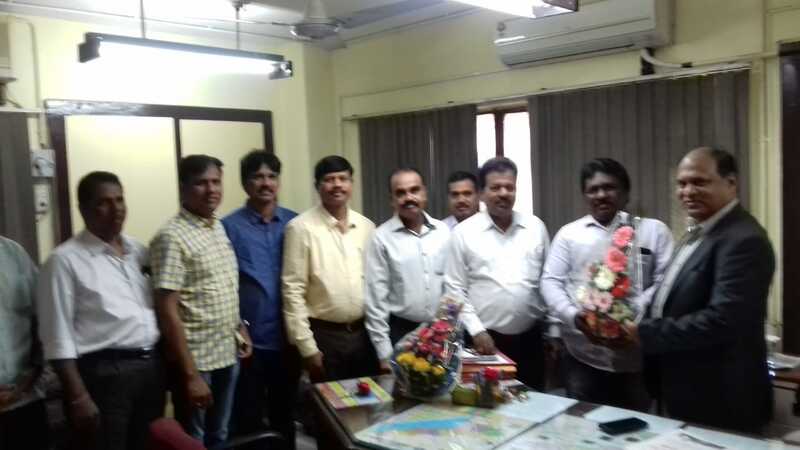 Evenif the promotions are given one day later than 01.07.2018, all such Executives will become juniors and subordinate to the Executives already promoted on or before 01.07.2018 as per CPSU Cadre Hierarchy provisions. Consequently, it will also affect the future promotions of thousands of Executives who got promotions recently. In view of the above submissions, it is requested to take appropriate actions to bring parity and uniformity in promotions in all the wings for all the equivalent cadres, ie. Telecom/ Finance/ Civil/ Elect/ TF/ Arch/ CSS/ PA/ PS etc as a permanent measure by implementing the Uniform Time Bound Functional Promotion Policy (CPSU Cadre Hierarchy) immediately, w.e.f. 01.07.2018. 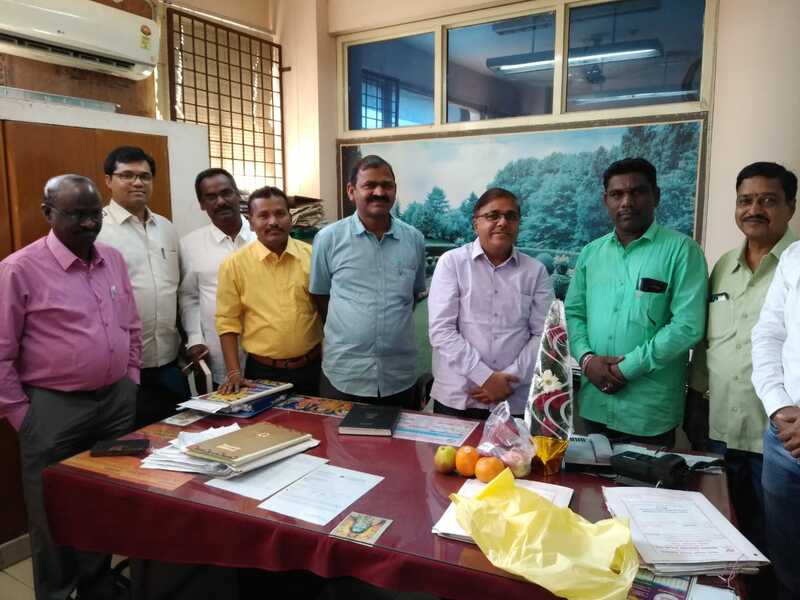 Com Ramesh cs met CGM, PGM, GMhr,DGMhr and other Officers along with office bearer's on the occasion of new year and conveys new year greetings. Like in all SSAs our DSs also met SSA heads . 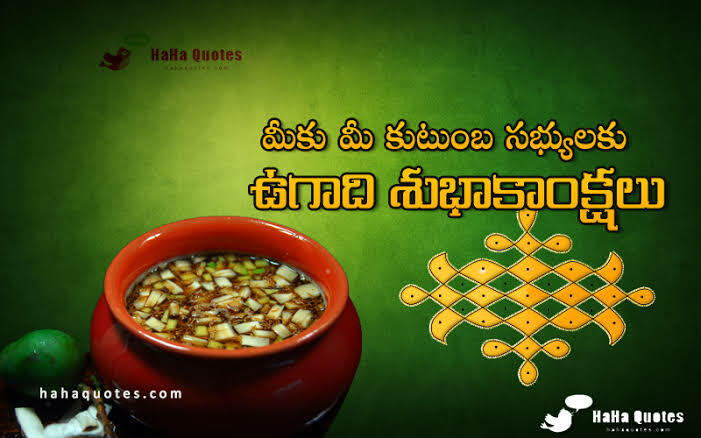 SNEA TELANGANA CIRCLE Wish all our members a HAPPY AND PROSPEROUS NEW YEAR 2019. 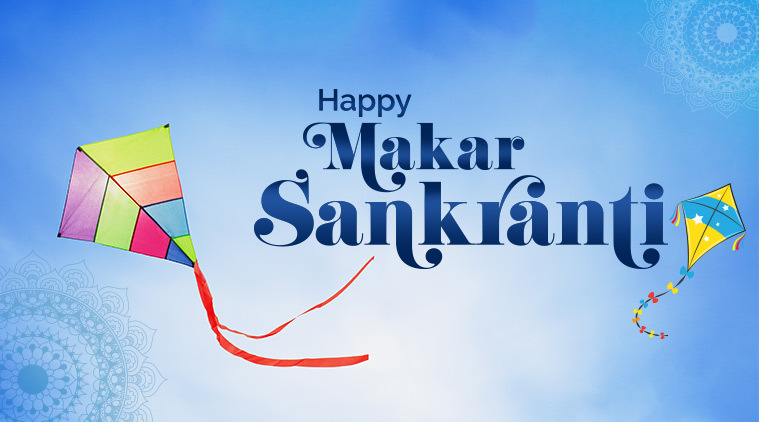 We hope in this new year our bsnl revenues will increase and all our dreams will full fill. © Copyright 2014.Sanchar Nigam Executives' Association(India), All rights reserved.